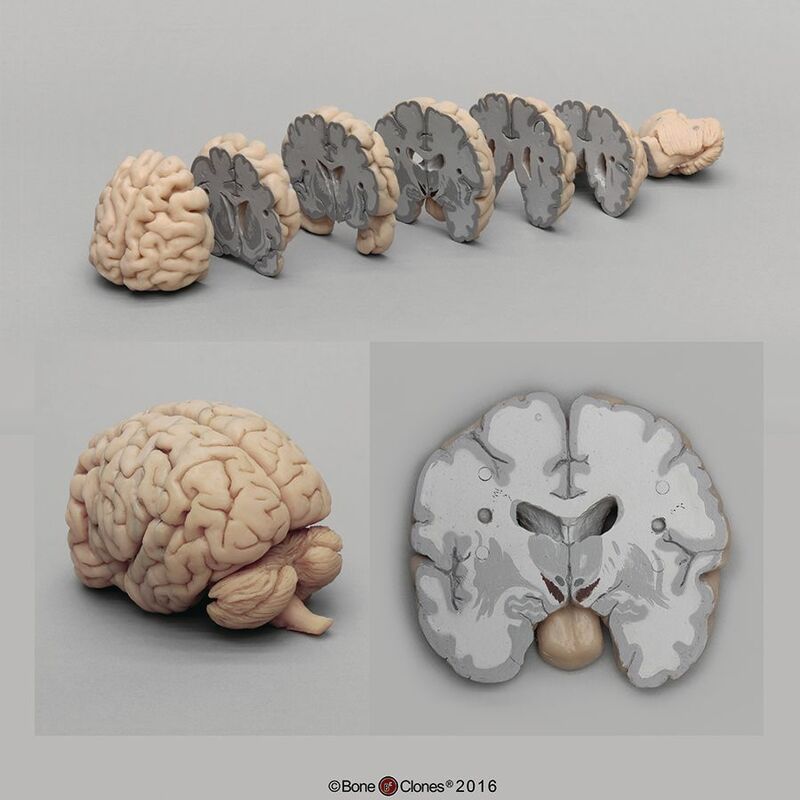 Sectioned along the Coronal axis, this model offers an innovative way to study the structure of the brain. Current diagnostic tests available allow for various views of structures in the same patient. Given that neurologic anatomical markers are often used to confirm suspected diagnoses, students in health sciences must become adept at deciphering neurologic structures from various views. Until recently, proper models of the human brain in coronal sections have not been available. We are proud to offer the Bone Clones® Human Brain in coronal sections, which has been created in consultation with Cara Davies, Ph.D. Dr. Davies has also created an extensive lesson plan, which is provided each model.